View of Pipit Wetlands, taken from Zone A looking south east. 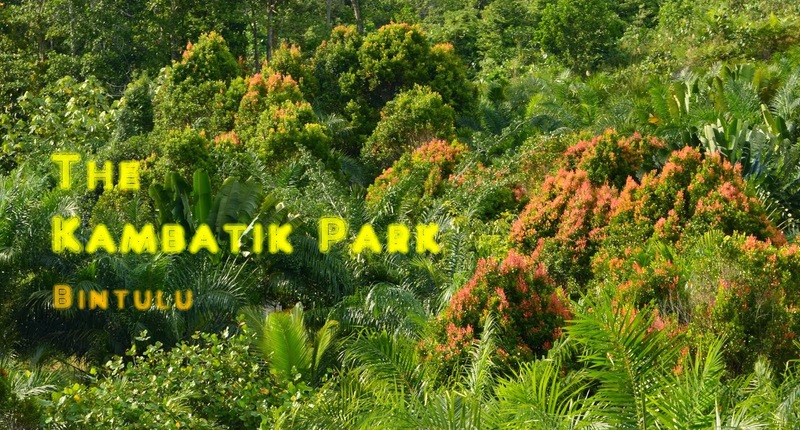 The landscape consists of tall grasses at the ground floor level and as the land scales up the slope and surrounding hill, the thickets of Shrubby dillenia, are intermixed with natural stands of trees. At the far back the original jungle is retained for its ecological diversity. The intermediate storey is filled up with introduced oil palm cultivation. There are two areas of wetlands at the park called the Kruak Wetlands and the Pipit Wetlands. The former is located between Zone B and A, while the latter is sand-witched between Zone A and G. The Pipit Wetlands is named after the 'Pipit' bird (Chestnut Munia)which frequent the area and build homes at the location. Other species of wildlife seen in the area are Snipe, Little Green Pigeon, Bulbul, Squirrel, Prinia, Butterfly, Waterhen, Frog and Snakes. The Waterhen and Snipe occupy the ground areas , the Pipit and Prinia birds forage among the tall grasses. The Bulbul and Pigeon birds build homes among the thickets of mixed vegetation at the edge of the wetlands. The wetlands ecology is important for the park because it absorb and contain excess runoff that function as an essential reserve source of water for the natural trees and shrubbery growing in the area including the grasses and ferns. The thickets of ferns are a renewable source of 'Miding' and 'Paku Uban' ferns which are edible and can be plucked on everyday basis. The Pipit Wetlands is thus retained due to its wildlife promoting value and ecological diversity. 'Miding' ferns need the tall grasses to help them scramble and obtain necessary sunlight for maximum growth. Note: Young 'Miding' leaves appear light red in colour and turn green as they age.